Product Delivery : You will receive a receipt with download link through email. Founded over twenty years ago by Raymond Aaron, The Wealth Creator Source is the leading world-wide source of wealth creation ideas, business advice and strategies and systems from renowned marketing experts, famous authors, personal development masters and successful entrepreneurs. Every month a new Wealth Creator Source™ interview is shipped to members like you and automatically added to the site archive. Before an interview actually takes place, the material of each interview candidate is thoroughly studied and assessed to determine whether a candidate can provide expert, highly actionable information to subscribers of The Wealth Creator Source™. It is our intention to bring you, our subscriber, nothing but the very best wealth building information available. Currently, The Wealth Creator Source™ services clients in North America, New Zealand, Australia, Hong Kong, South Africa, Japan, England and Germany. Raymond reveals these fast-track success strategies in programs such as The Monthly Mentor™, The Wealth Creator Source™, and The Real Estate Wiz™. Renowned for his passion and total commitment to his clients, Raymond seizes every opportunity to demonstrate the power of his teachings, teachings he himself lives by each and every day…At the young age of 62, he recently completed a 350 mile, month-long footrace to the North Pole…a truly amazing feat by any standard. 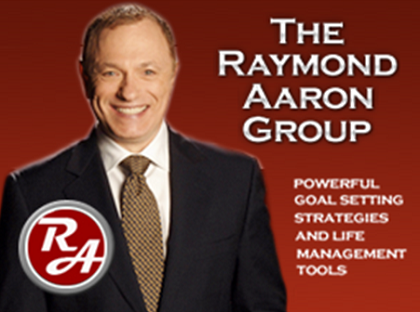 Raymond has also authored 15 books, is co-author of the bestselling Chicken Soup for the Canadian Soul and Chicken Soup for the Parent’s Soul and is currently working on a ground-breaking new book on mentoring. He’s also made appearances on hundreds of radio and television programs throughout the United States and Canada. HugeLore 2017. All rights reserved. © Huge Lore 2017. All rights reserved.